If you have a tooth that requires a filling, we will first remove the decayed tooth material, and then clean the affected area and fill the cleaned-out cavity with a filling material. This filling will help prevent further decay by closing off any cracks or spaces where bacteria might enter. 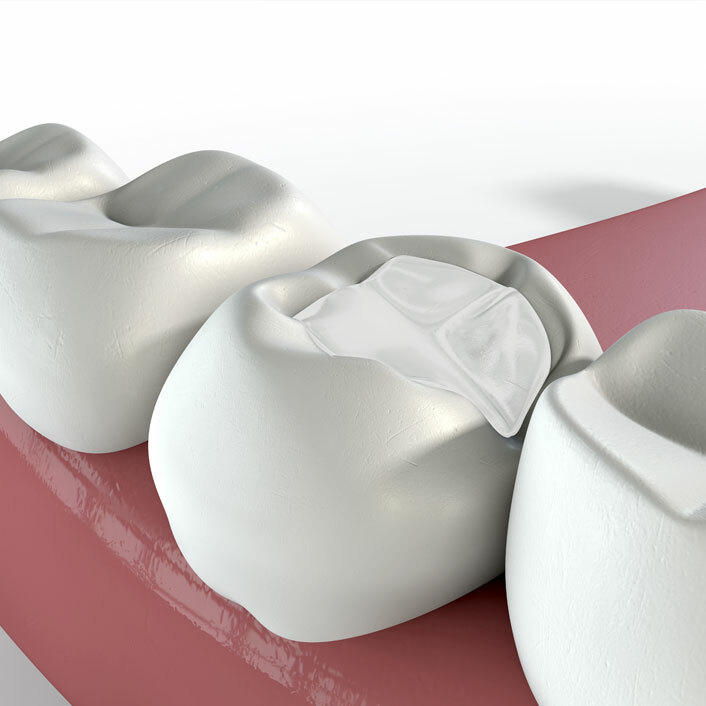 Composite resin fillings are custom-made to the exact color of the patient’s teeth, creating a more natural appearance. As an office we pride ourselves on the extensive use of composite as a long-lasting, adaptable restorative material. We are known in the community for providing conservative treatments and utilizing the amazing bonding and strength capabilities of composite fillings to prevent people from needing crowns in many situations. Porcelain fillings, called inlays or onlays, are created in a lab and then bonded to the tooth. They can be matched to the color of the tooth and generally cover most of the tooth, making the filling nearly undetectable.